One of the more intriguing questions going into this Premier League season was how Manchester United would cope with the managerial change that saw David Moyes replace the venerable Sir Alex Ferguson. When it was announced that Moyes would be the new manager, opinion amongst United fans was divided. Some believed that Moyes was the perfect choice as replacement after he had completely transformed Everton from a team that perennially struggled in the lower-mid reaches of the Premier League, to a team that consistently challenged for European places. Moyes also had built a reputation for being savvy in the transfer market and enjoyed a close relationship with Ferguson while at Everton. But there were an equal number of fans who believed that a bigger name manager, such as Jose Mourinho, should have been hired. Those fans pointed to the fact that, for all his good work during his 11 years at Everton, Moyes didn’t win a trophy. They also pointed to the fact that he had barely any experience of managing in the Champions League and only minimal experience in the Europa League. Well, it’s fair to say that, six months on, Moyes is still dividing opinion amongst Manchester United fans. Some fans, antsy at the way the season has gone so far, believe that Moyes is horribly out of his depth, and just not cut out to manage such a big club, other argue the opposite, saying that Moyes inherited a weak squad, wasn’t given the opportunity to change things and should be given the time and support he needs to get it right. United have had, by the high standards they have set for themselves over the past 25 years, had a disappointing league season so far. In their last league match, they lost 3-1 to Chelsea, which leaves them, at the time of writing, seventh in the table and 14 points behind current Premier League leaders Arsenal. So far this season, United have lost at home to West Brom, Everton, Spurs and Newcastle, and went out of the FA Cup after losing at home to Swansea. The British media are smelling blood, and barely a day goes by without a story about how the next game is a ‘must-win for Moyes’, speculation about what would happen should United not make the Champions League next season, or about ‘how United are a fading force’ or ‘how the empire is falling’ etc. The decisions taken by Moyes since he became manager have been put under a microscope. Much has been made of his decision, when he arrived, to replace the coaching staff with coaches of his own choosing, even more has been made of Moyes’ tactics and Moyes’ training methods have been put forward as a reason why United have suffered from a rash of injuries this season. However, I’m not buying into all the talk of United being ‘in crisis’, or in terminal decline. I think that United, for all of their problems this season, are in a much stronger position that people think. I also think a lot of the criticism of David Moyes has been unfair. Firstly, as I wrote earlier, United are 14 points behind Arsenal, which, while admittedly a tall order for United to make up that gap, is hardly beyond the realms of possibility when you consider there’s still 16 games to go; and only 6 points behind Liverpool, who currently occupy fourth position and therefore, the last of the Champions League places. So, while there’s certainly room for improvement in United’s current league form and position, they can hardly be written off in terms of qualifying for next season’s Champions League, either as league winners or one of the top 4 Premier League teams. Add to that the possibility they might even qualify for next season’s Champions League by winning it this season. All of this has happened with some key players being injured, so you have to figure that when United get van Persie, Rooney and Fellaini back, they will be a much tougher proposition. The inclusion of Juan Mata should also signifcantly strengthen what has been a lifeless United attack at times. I also don’t get why so much is being made of Moyes’ decision to replace several of the coaching staff when he took over at United with coaches he had at Everton. Most managers tend to work with the same group of coaches throughout their managerial careers, so it’s normal for a manager to bring his own staff with him when he arrives. Moyes will realise he’ll only get one chance at the United job, so will have wanted to work with a coaching staff he knows and trusts. That’s not unusual. I don’t think you can solely blame Moyes for the patchy league form. There was always going to be a transitional period for United. The players need time to adapt to Moyes’ methods and tactics. They also have to learn to trust Moyes they way they trusted Ferguson, which doesn’t happen overnight. It was always unlikely that Moyes, or anyone else, could have seamlessly stepped into the manager’s seat at Old Trafford and started winning immediately. Similarly, Moyes needs time to adapt to managing a club like United. At Everton, Moyes was used to working with a relatively small group of players, so never had to rotate as much as he needs to at United. Similarly, Moyes is also learning that what worked at Everton may not necessarily work at United, so he has to learn to be a bit more flexible in both his tactics and his approach with the players, which takes time. most Premier League teams would kill to have such a ‘weak’ group of players at their disposal. That being said though, United do need to improve their squad. In fact, it’s becoming increasingly obvious that they need to overhaul the way they operate in the transfer market. Last summer, United weren’t too active in the transfer market, with only the late signing of Marouane Fellaini from Everton, plus a few young prospects, to show for the summer transfer window. Whereas Fellaini is a good player who did well for Moyes at Everton; he was not really the player United needed, and has struggled to make an impression since his move. United seem desperately short of creativity in midfield, but were unable to land any of their targets last summer and, at the time of writing, have not done so in January. This isn’t Moyes’ fault. The traditional way English clubs do a transfer is the manager identifies the player he wants, the chief executive negotiates a deal and then the Chairman gives the go-ahead, or not. That seemed to be the way United operated under Ferguson, with David Gill as Chief Executive. However, that way of doing transfers is increasingly outmoded. Reports suggest that Ferguson instructed United to hold off on any transfer activity until Moyes took up his role, seemingly to ensure United didn’t sign anyone that Moyes didn’t okay. But, as Moyes didn’t arrive until July, it meant that United were way behind the curve when it came to transfers and struggled to catch up, with new vice-Chairman Ed Woodward seemingly taken by surprise at the way the transfer market worked. United werealways going to struggle without Rooney + RVP, no matter who the manager was. In recent times, most Premier League clubs have started to adopt a model where the manager is part of the transfer process, but not necessarily the main part. This means that if there’s a change of manager, it doesn’t derail transfer activity. Now Alex Ferguson is no longer manager, Manchester United should revamp the way they do transfers to bring them more in line with the other teams around them and allow them to compete for the best players once again. For all of the pressure that’s currently on David Moyes, I don’t think the United hierarchy will be even contemplating making a change in terms of manager. They gave Moyes a long contract, so they obviously believe in his abilities as manager. United also pride themselves on stability, so I doubt they’ll look to make a change at the first hint of trouble, which is what’s happening now. They also understand that, while it’s an overstatement to say that United need to completely overhaul their squad, there’s no quick fixes either. What they need to do is finish out this season, but get plans in place for new signings next summer. For most managers, being within striking distance of the top 4, being in the round of 16 of the Champions League and being in the semi-final of a cup would represent a very successful season. 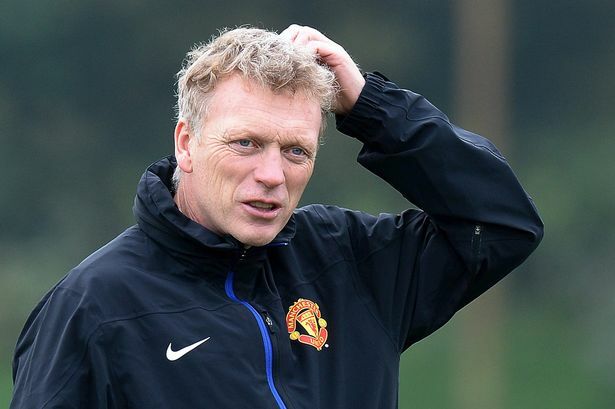 For David Moyes and Manchester United, it’s apparently a disaster. David Moyes is a good manager. His time at Everton proved that, no matter how much revisionism is spouted by his critics. What he needs is time and support. I think he’ll get both, and in a few years time, when United are back towards the top of the table, all talk of a crisis will have long been forgotten.